In September of 2018, two hydrogen passenger trains started operating on a 100-kilometer (62 mile) stretch of track between the towns and cities of Cuxhaven, Bremerhaven, Bremervoerde, and Buxtehude in northern Germany. The bright blue trains manufactured by the French company Alstom warmed the hearts of hydrogen die-hards globally. It’s the first commercial hydrogen-powered train in operation, after all. They hope it’s the first of many. It’s a faint hope, but hydrogen might become one of the fuels for a subset of passenger and freight trains in the future, along with line-side electric, battery electric, and biodiesel. The space is a bit open to that possibility right now, although electrification without hydrogen is much more widespread, having first been put into operation in 1883. The first demonstration of the common third-rail system was in Germany in 1879 by Siemens. Battery electric trains were first in operation in 1887, also in Germany. 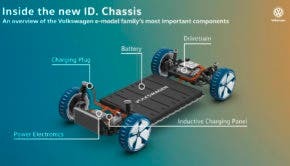 Battery electric has been revived in recent years, with different manufacturer’s solutions in operation in multiple countries globally, and multiple new systems slated to start operation in 2019. Hydrogen trains are much quieter than diesel, but purely electric trains — whether battery or externally supplied — are even quieter. Hydrogen trains have very limited emissions at the train, but much higher emissions up the supply chain in the vast majority of cases, while purely electrically driven trains can be 100% emissions free and often are today. Calgary’s C-Train, for example, runs solely on wind generated electricity. Hydrogen refueling can be centralized at train yards, but charging of batteries can be done both at train yards and along major routes. A bit of background. All trains these days are already electric. The motors are electric and provide both motive power and dynamic braking, which is like regenerative braking but the electricity produced gets pumped into heating coils in the roofs instead of being used. Most trains are diesel-electric, which means that they have a diesel generator producing the electricity the motors need. The largest is a GE engine that produces 6,000 horsepower. Many train lines through many cities and densely populated areas are already electrified. They use third-rail electric supply along the rail bed or they use overhead trolley wires. There are many trains globally which work in this model, including all subways and almost all light rail systems. There are many freight corridors which have hybrid systems, where the diesel electric generator is used outside of the corridor, but on that stretch external electricity is used instead. Heavy rail regional commuting often has external electricity through urban areas and uses diesel electric in suburban and exurban areas. Toronto is in the process of electrifying the urban portion of its GO Transit, as one example. Biodiesel has existed for decades, just with a bad price point, manufacturer warranty leeriness, and spotty supplies. As a result, it has tended to be capped at 5% or less of fuel, or only be used in some seasons. Hydrogen trains replace the diesel generator with either a hydrogen internal combustion engine to generate electricity or a hydrogen fuel cell to generate electricity. Hydrogen is somewhat like biodiesel. It’s a manufactured product that can come from a few different sources. It doesn’t exist as a source of energy, but is manufactured as a store of energy. The primary means of creating hydrogen is steam reformation of natural gas, with high CO2 emissions and energy inputs. Well over 90% of all hydrogen is created from natural gas, which is why many tend to call it a fossil fuel. It’s mostly just a refined byproduct from the fossil fuel source, just as gasoline and diesel are. A subset is produced by electrical hydrolysis of water. That can be much cleaner, but it depends on the energy inputs being clean. An analysis was published in CleanTechnica a couple of years ago (cited below), and if grid electricity is used to generate hydrogen, it’s higher in CO2 emissions than diesel, and certainly higher than just using the electricity directly. If hydrogen is generated with only carbon- and pollution-neutral forms of generation such as wind and solar, it can be a clean fuel through the entire supply and use chain, but it has never been to date outside of meaninglessly small demonstration projects. There’s a lot of work in this space with catalysts to try to make it more efficient at scale, but breaking chemical bonds in non-endothermic reactions and recombining them in exothermic reactions without having them explode energetically is expensive and complex. A further subset is created by biological processes, but those haven’t been able to scale or be consistent. Biology is messy. Well-to-wheel equivalents for hydrogen are poor as it’s relatively inefficient to generate hydrogen, it’s relatively inefficient to store and distribute it, and fuel cells and hydrogen internal combustion engines are relatively inefficient at converting it to electricity. It’s much lossier than batteries, so you have to choose your application. Hydrogen today is almost entirely an industrial feedstock, not a fuel. It doesn’t have a retail distribution network. Unlike electricity, it’s not available everywhere. This is meaningful, as the characteristics of forms of transportation that could use hydrogen as a fuel become clearer. They need a hub-and-spoke model, not a network model. In other words, they need a place where everything comes together and the vehicles can be centrally refueled. Trains have that characteristic. Rail yards are central hubs, and passenger trains have central yards where they go overnight or when otherwise out of service. The barriers to creating a hydrogen distribution network to reach trains are much lower than for anything which drives on roads. Hydrogen’s supply is more scalable and less spotty than biodiesel simply because it can be created from natural gas, and fracking — with its attendant issues — makes natural gas supply relatively easy to turn up or down. But natural gas gets much more expensive in the winter time at present. When temperatures get cold and a whole bunch of places want to heat with gas and others want to heat with electricity from utilities that use gas generation, gas prices go up. A lot. And hydrogen is hard to store, so it’s going to be created as close to use as possible. That means that any increase in hydrogen demand is likely to see significant seasonal variation. The potential for a reasonably easy to solve distribution network is part of what leaves the door open for hydrogen for trains. The other part is fossil fuel interests lobbying for a hydrogen future. They really want people to keep consuming their product. That’s why the Nikola hydrogen truck is helmed by a former natural gas sales executive, and it’s likely the money behind it doesn’t come from the same people who funded Tesla.